Year 10 is pretty crazy for best friends Lydia, Cassie and Emily. When their English teacher starts the Pen Pal Project so that they can experience the Joy of the Envelope with boys from scary Brookfield High, life gets even crazier. 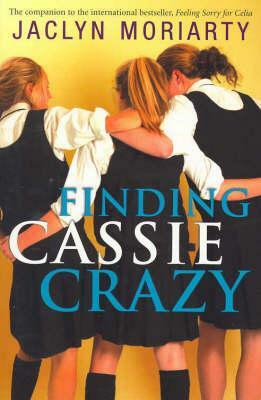 As Lydia turns into a secret agent and Emily a relationship expert, it is not so clear what is happening to Cassie. She is writing to someone, but he’s either a psychopath or a figment of her imagination. Not even her friends know what’s going on. Does she even have a pen pal? Or has Cassie really lost it? The eagerly-awaited, deliciously-humorous new novel from the author of the award-winning and number one bestseller, Feeling Sorry for Celia .